Sussex County's L.E.A.P. (Literacy Education Assistance Pups) meets Wednesday nights at 6 PM in the Children's Room at Rehoboth Beach Public Library. 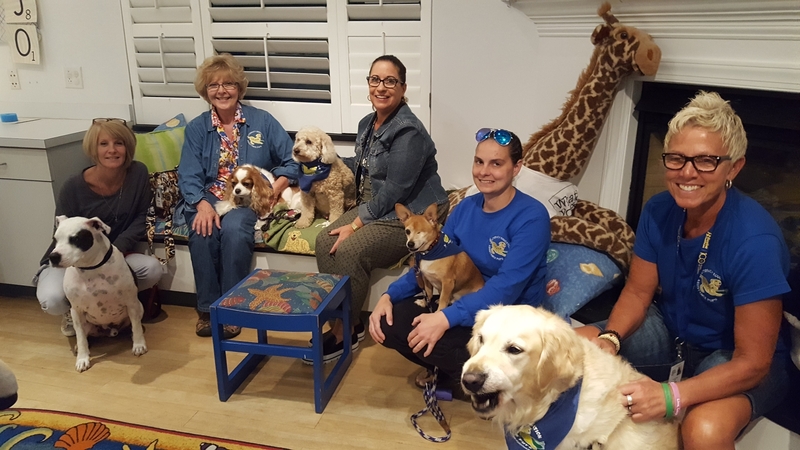 The goal of the L.E.A.P program is to improve the literacy skills of children and increase their enthusiasm for reading through the assistance of therapy dog teams as literacy mentors. The presence of a L.E.A.P. dog creates an inviting and motivating reading environment. Specifically, a L.E.A.P. dog is nonjudgmental, comfortable, and FUN! Recommended ages 4 and up.